Prepared personally for you at your request, all baked goods are made from scratch using the freshest quality ingredients. No preservatives are added. Our recipes are mighty fine, time tested Southern family favorites. Perfect for family meals, entertaining and gifts. At Quite A Stir, we've been stirring up quite a bit in the kitchen and, it's taking us in many directions. Fortunately, all directions lead to great tasting products. It's very exciting as we have so many wonderful tasting recipes to share as we grow! 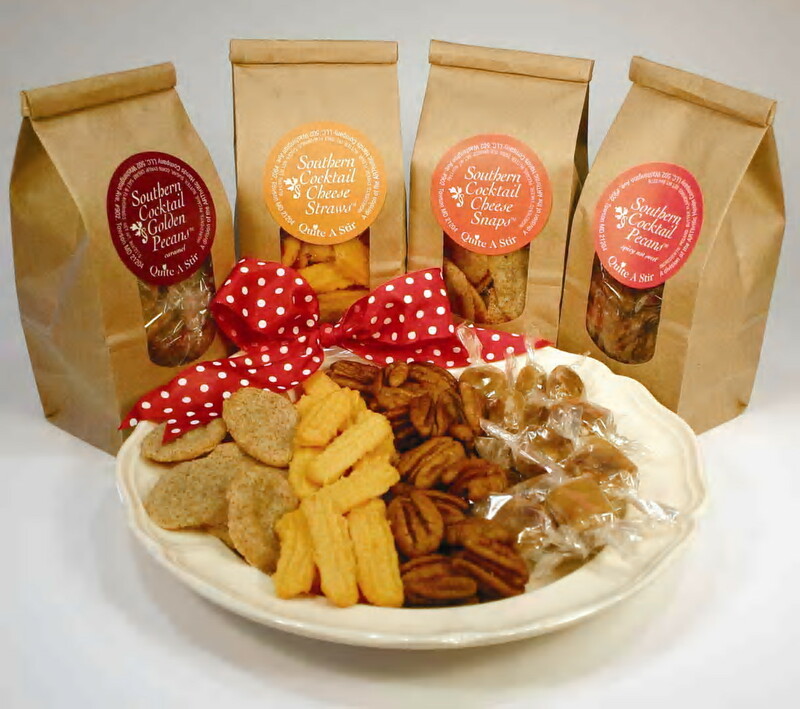 Our Southern CocktailTM snack line is a wonderful selection of sweet & savory Southern treats and happens to include some exceptional tasting traditional and low carb selections. Folks love the taste of our low carb snack cracker. We're expanding our selection of home baked Southern desserts, adding a Coconut Pound Cake to our delicious pound cakes recipe file in addition to our yummy, buttery Sour Cream, Lemon Zest, Apple Cinnamon Twist and Fudge Ribbon Chocolate Pound Cakes. We've also added Congo BarsTM - our wonderful chocolate chip cookie bars. For those of you who love cup cakes, we now offer Pound CuppiesTM - small versions of our large pound cakes, gift boxed by the dozen. It takes good recipes and ingredients, not a lot of frou-frou to make great tasting food. We make unpretentious, family style foods with the same quality ingredients and great taste of gourmet products. With all of the dietary concerns of today, we are proud of the fact we add no preservatives or use trans fats. We take the time and care to prepare your individual order. And, if you say you made it yourself, we won't tell. So stir up some happy moments with wonderful flavors for your kitchen. You'll love the quality, convenience and ease of making your family and friends happy. We make a donation to the Arthritis Foundation based on our sales. Every time you order our donation grows! Let Quite A Stir deliver wonderful sweet and savory Southern treats to your home! 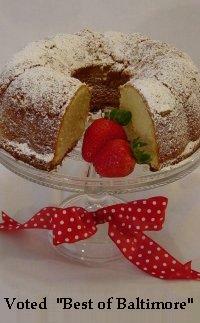 I started Quite A Stir because I love to bake and I saw the joy good home baking could create. I also realized in this busy world of ours, folks often need a helping hand in the kitchen to reinforce this joy of home and family in their own lives. I believe we need to get back to just good basic home cooking to rediscover good taste and for better health. Our number one goal is to provide that great taste and quality. We bake fresh unpretentious foods with quality ingredients in a family-friendly style. No preservatives are added. My recipes are time tested Southern family favorites that have been making generations of families very happy! Perfect for family meals, entertaining and gifts. Please enjoy and thank you for your order!